CDCI Consortium will assume overall responsibility for managing the team of consultant provided including the budget. In addition, we will provide assurance of all agreed assignment outputs (in accordance with the firm’s internal quality management and assurance standards). All substantive outputs will be reviewed by the Team Leader and quality controlled by the CDCI Project Management Team prior to formal submission to the client. The Team Leader provided by us, with support from the CDCI Project Management Team, will be responsible for fulfilling the work plan with clearly specified milestones for the completion of agreed outputs and results. A framework for maintaining an on-going review of progress towards the achievement of these results will be developed within agreed thresholds for time, budget and quality. 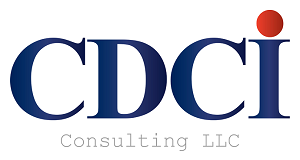 If any adverse factors emerge during the assignment that CDCI Project Management Team considers will impact on time, cost or budget parameters, we will promptly assess these risks and develop options for overcoming the difficulty. The project management arrangements will be focused on the delivery of outputs and benefits within the time, budget and quality parameters set out in the Terms of Reference and the agreed work. CDCI in many occasions has assumed responsibility for complex, large-scale projects in different sectors and countries and carried out successful management through a project management system that provides clear roles and responsibilities for all parties involved in project implementation. Project management responsibility, management for results and budget responsibility is delegated from the Project Director to the Team Leaders in each of the assignments. It is the responsibility of the Team Leaders that projects are implemented according to the quality assurance system and to budget. The operational project management responsibility is delegated by the Team Leaders to the sectional lead experts. Internal organisation: The lead expert in a particular area of the assignment is responsible for successful project implementation. S/he is responsible to account for the performance of their part of the project and ensure that the project is managed according to plan, to budget and to monitor fulfilment of project goals and results according to indicators and stipulated quality criteria. Although the lead expert has the operational responsibility of h/her section of the project, the team leader is a resource for support and quality management for the lead expert through regular meetings and follow-up. External organisation: The team leader is ultimately responsible to lead the project forward and for day-to-day communication with the financier, the consultant team and the beneficiary institution(s). The Team Leader will maintain the communications between the beneficiary institutions, financier and the consultant team to ensure that all parties are moving in the same direction. In addition our Backstopping team will be handy to provide any technical backup which may be required for the efficiency in providing the services.